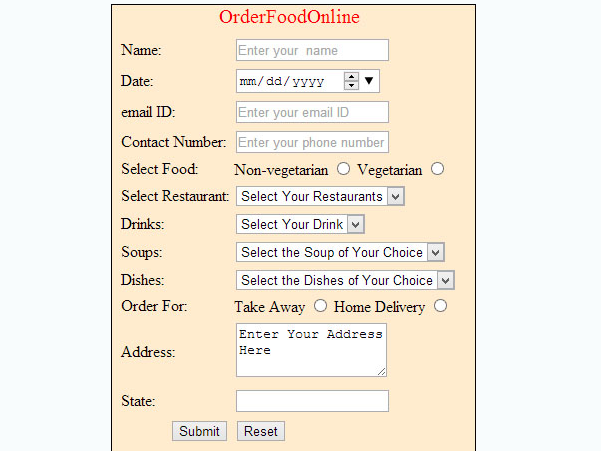 Today most of the Web pages, such as Registration and Login pages, have some way of accepting input from a user.To design such Web pages, you need to use several elements, known as form elements, which enable the user to input values.The data entering these form elements needs to be processed further upon submission.Every Web pages should respond to end user actions, such as clicking a submit button, changing a value in a field, or making a selection from a list.All this actions are referred to as events and need to be handled appropriately. 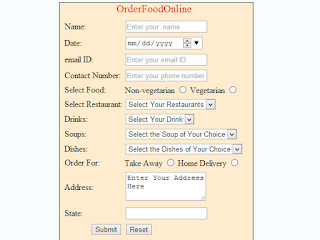 The name attribute is used to specify a unique name of a form. It is used to uniquely identify a form in the get or post methods at the time of form submission. In addition, multiple form can be present on a Web page. These form can be differentiated using the name attribute. The following syntax is used to specify a name for a form. 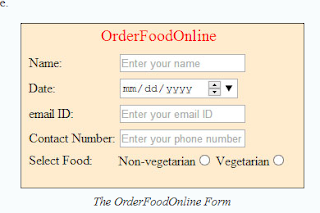 The ID attribute is used to specify a Unique ID for the form element on a Web page. The ID attribute should be unique in the entire HTML document. Both the ID and the name attributes are used to uniquely identify a form element on the Web page. However the ID given to a form element is used when you need to reference it with style sheet or scripts. You can assign a unique ID to a form element by using this attribute. The following syntax is used to specify a ID for a form. The action attribute specifies the URL of the page to which the content of the form are submitted. If this attribute is missing , the URL of the document itself is assumed as the location for the form submission. The following syntax is used for the action attribute to specify the URL of the page. the default value of the method attribute is get. The get value append the form data to the URL of the form as the name value pair at the time of form submission. Since the data is appended to the URL it is always visible to the users. Also, the size of the data that can be submitted using the get method is limited to only 3000 characters. The post value does not append the form data to the URL of the form when it is submitted.Therefore the data is not shown in the URL and offers a secure way of submitting the data.This method can be used to send textual as well as image data. good content. keep it up. and share more information regarding more topics of html.